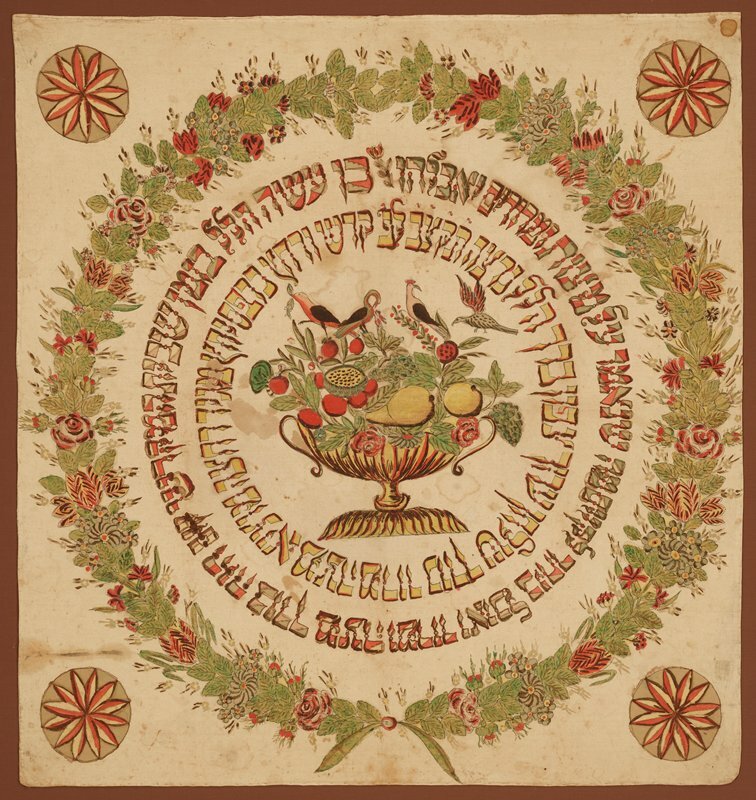 This cushion cover and towel set would have been used in an elite Jewish home in the Alsace region of eastern France to celebrate the Passover Seder. During the meal, it is customary for important individuals to eat reclining in imitation of sumptuous Roman feasts when elites ate reclining on sofas. This gesture issues a reminder of the time in Jewish history when they were liberated from their enslavement in Egypt, and is meant to inspire feelings of gratitude for the fruits of freedom. This cushion cover would have contained a large cushion that was placed on the chair back of the male head of household. The decorative towel would have been used to cover utilitarian towels used during the Seder hand-washing ceremonies.